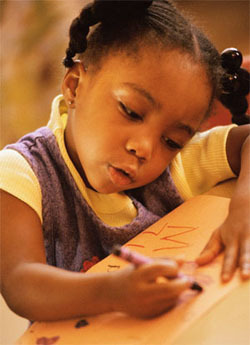 Back in the day, a kindergarten was a garden for children, a place where children could play, sing, paint, and pretend. Letters, numbers, and anything that smacked of formal schooling was minimized. Instead, kindergarten was intended to facilitate the transition from home to school, in a home-like setting. Today, of course, kindergarten is less of a garden and more of a hothouse. At least in public schools, it’s a rare kindergarten that does not have a strong focus on letters and numbers. A child exposed only to the play-oriented children’s garden of old would arrive in first grade at a serious disadvantage. In most kindergarten classes there is still plenty of play, singing, and make-believe, but also a lot of literacy and numeracy. Debate in early childhood education has largely shifted from the kindergarten to the pre-kindergarten. For a long time, programs for four-year-olds have resembled kindergartens of the past. Children are painting, playing with blocks, dressing up for make-believe, using sand and water tables, singing, and listening to stories. In most states, pre-K is not available to all, and many children who attend pre-K do so as part of the federal Head Start program. A lot of attention has been paid to the question, “Does Head Start work?” For decades, the evidence that it does has depended on longitudinal studies of the Perry Preschool, the Abecedarian Project, and other small, colossally funded experimental approaches. However, evaluations of run-of-the-mill Head Start programs find a consistent and depressing pattern. Immediately after their Head Start experience, young children perform somewhat better on cognitive measures than do similar children who did not receive pre-K services at all, but within a year or two these differences fade away. Seeing these outcomes, early childhood researchers began in the 1990s to experiment with ways to make Head Start and other early childhood approaches more effective. Numerous studies compared outcomes for children who were all in preschool, but who received different programs. In the mid-2000s, a large federal project called the Preschool Curriculum Evaluation Research (PCER) initiative evaluated a large number of programs using consistent, rigorous methods. This study added substantially to the number and quality of studies of preschool models of all kinds. My colleagues Bette Chambers, Alan Cheung, and I have just completed a review of research on studies that compared alternative approaches to pre-K. We found 32 studies of 22 programs that met our standards. These studies were of exceptional quality; 30 of the studies involved random assignment to conditions. We mainly compared programs with elements focused on literacy (which we called “balanced” approaches) to those that did not have such elements (“developmental” approaches). The outcomes were striking. At the end of pre-K, children in the balanced programs performed better, on average, on both literacy and language measures. The literacy outcomes were not too surprising, because the balanced programs had a stronger emphasis on literacy. However, at the end of kindergarten, the children who had been in the balanced groups still performed at a higher level on both literacy and language measures. Our review supports the idea that young children can benefit from literacy experiences, to learn letters and sounds, while they continue to play, pretend, draw, and sing. Keeping literacy out of the mix does not benefit children immediately or one year later. I’d be the last person to want to take the garden out of kindergarten or preschool. Pre-K can still be fun, social, and interactive. But adding in a focus on literacy helps children arrive in first grade ready to succeed in reading. How can that be a bad thing? Happy 50th Birthday, Head Start! This week marks the 50th anniversary of Head Start! Children, please look up from your sand tables and dress-up corners and finger-painting tables and sing “Happy Birthday”! Gloria, I’m watching you. Do not even think of putting finger paint in Michael’s hair! Is everyone ready? Of all the Great Society programs, Head Start is perhaps the most popular. It provides center-based services to millions of very cute 3- and 4-year-olds, mostly children from disadvantaged families. If members of the public, educators, and policy makers know a single conclusion from educational research, it is that early-childhood programs have substantial and long-term positive impacts. As one consequence of this understanding, President Obama and his administration have pushed hard to expand Head Start and other early-childhood programs to serve many more children. As more children enroll in Head Start and other early-childhood programs, the question has moved from “Does it help disadvantaged children attend early-childhood programs?” to “What kinds of early-childhood programs should be provided to disadvantaged children?” Here there is ferocious debate. On one side are traditionalists who insist that early-childhood programs emphasize play, imagination, listening to stories, singing, and crafts, for example, but not phonemic awareness or other pre-reading skills. Such “developmental” programs are designed to ease children into the school in a home-like setting and build children’s language, school skills, and general orientation toward learning. On the other side there are some educators who believe that disadvantaged children in pre-kindergarten need to be taught like first graders to ingrain the school readiness, literacy, and math skills necessary to succeed in school. In the middle are “balanced” programs, advocated by those who believe that in addition to play, exploration, imagination, and language, it is beneficial to expose children to phonemic awareness, phonics, and other pre-reading as well as early math skills, on the principle that it is important to give disadvantaged preschoolers a, well, “head start” on the skills that will soon determine their success in school. Preschool should not look like third grade, with kids in rows answering questions and doing worksheets. (In fact, third grade should not look like this, either.) Phonemic awareness and phonics in balanced programs are typically introduced in preschool using rhymes, games, songs, and exploratory activities to learn the sounds and shapes of letters. As phonics and math have definitively pushed their way into kindergarten, traditionalists hold onto preschool as the last bastion of child-centered education, while advocates of balanced programs argue that children need to be prepared for the settings in which they will soon find themselves. My colleagues and I are carrying out a review of research on the literacy and language outcomes of different approaches to early-childhood education. (Watch for it in the Best Evidence Encyclopedia in the next month or so.) Our findings are very interesting. We focused on studies that compared children in “developmental” programs with those in “balanced” programs, which are ones that include most elements of developmental programs but also include direct teaching of phonemic awareness and phonics. Not surprisingly, both in preschool and on kindergarten follow-up measures, children who participated in balanced programs performed much better on assessments of early reading skills. Perhaps more surprisingly, these children also performed better than those in the developmental programs on measures of language, in preschool and on kindergarten follow-up. What our findings suggest is that teaching phonics and phonemic awareness in preschool is beneficial for reading and, far from undermining children’s language development, also enhances performance in this arena. It is probably unrealistic to expect that one year of quality early childhood will turn around a child’s life forever, but seen as the beginning of a progression from high-quality preschool into high-quality kindergarten into high-quality elementary and secondary school, preschool is very important. Our review supports the idea that a portion of the precious time preschool teachers have with young children can be devoted to building pre-reading skills without harming language development, and in fact contributing to overall performance. And that’s a head start worth celebrating! President Obama’s recently released budget may or may not make its way into law, but it has already made its way into the hearts of those who believe that government programs must be held to account for producing the outcomes they are intended to produce. Red or blue, everyone should want government dollars to make a difference. For PK-12 education, evidence appears in a starring role in the president’s proposal. To me, the most exciting innovation in the budget is something called Leveraging What Works. This is a proposal for a competitive grant program in which the U.S. Department of Education would reward school districts that use their existing federal formula funds for activities that have a strong or moderate evidence base as defined in the recent EDGAR changes, a proposal I have advocated on this blog. The total amount requested, $100 million per year, is tiny compared with current expenditures, but it would be a start on the idea that federal dollars should increasingly go to proven programs and practices. Hopefully, this idea would go along with policies encouraging adding preference points to competitive proposals that commit to using proven approaches. The proposal would add $50 million for School Improvement Grants (SIG) for states to use to encourage school districts to implement proven strategies. If the standards for “proven” are rigorous, this would be another way to use modest funding to spur effective use of much larger existing funding. The Investing in Innovation (i3) program is showing its value in moving along the pipeline of educational innovations from development to validation to scale-up. The budget would more than double annual funding for this crucial program. It would also double funding for early education research and evaluation and would invest $20 million a year to test strategies to improve transitions from preschool to third grade. It adds $70 million to the Social Innovation Fund (SIF) to test promising solutions to a broad array of problems relating to children and youth. There is much more in the remarkable budget. 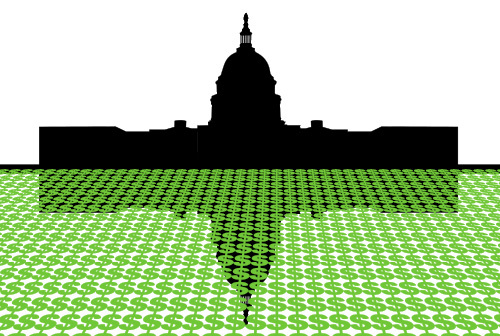 I hope our Congress can put aside partisanship and agree on a compelling new direction for government: Fund What Works! These are exciting times for people who care about preschool, for people who care about evidence, and especially for people who care about both. President Obama advocated for expanding high-quality preschool opportunities, Bill de Blasio, the new Mayor of New York City, is proposing new taxes on the wealthy for this purpose, and many states are moving toward universal preschool, or at least considering it. The recently passed Omnibus Budget had $250 million in it for states to add to or improve their preschool programs. What is refreshing is that after thirty years of agreement among researchers that it’s only high-quality preschools that have long-term positive effects, the phrase “high quality” has become part of the political dialogue. At a minimum, “high quality” means “not just underpaid, poorly educated preschool teachers.” But beyond this, “high quality” is easy to agree on, difficult to define. This is where evidence comes in. We have good evidence about long-term effects of very high-quality preschool programs compared to no preschool, but identifying exceptionally effective, replicable programs (in comparison to run-of-the-mill preschools) has been harder. The importance of identifying preschool programs that actually work is being recognized not only in academia, but in the general press as well. In the January 29 New York Times, Daniel Willingham and David Grissmer advocated local and national randomized experiments to find out what works in preschool. On January 30, Nicholas Kristof wrote about rigorous research supporting long-term effects of preschool. Two articles on randomized experiments in education would be a good week for Education Week, much less the New York Times. With President Obama, John Boehner, and the great majority of Americans favoring expansion of high-quality preschools, this might be an extraordinarily good time for the U.S. Department of Education to sponsor development and evaluation of promising preschool models. At the current rate it will take a long time to get to universal pre-K, so in the meantime let’s learn what works. The U. S. Department of Education did such a study several years ago called Preschool Curriculum Evaluation Research (PCER), in which various models were compared to ordinary preschool approaches. PCER found that only a few models did better than their control groups, but there was a clear pattern to the ones that did. These were models that provided teachers with extensive professional development and materials with a definite structure designed to build vocabulary, phonemic awareness, early math concepts, and school skills. They were not just early introduction of kindergarten, but focused on play, themes, rhymes, songs, stories, and counting games with specific purposes well understood by teachers. In a new R & D effort, innovators might be asked to create new, practical models, perhaps based on the PCER findings, and evaluate them in rigorous studies. Within a few years, we’d have many proven approaches to preschool, ones that would justify the optimism being expressed by politicians of all stripes. Historically, preschool is one of the few areas of educational practice or policy in which politicians and the public consider evidence to have much relevance. Perhaps if we get this one right, they will begin to wonder, if evidence is good for four year olds, why shouldn’t we consult it for the rest of education policy? If evidence is to become important for all of education, perhaps it has to begin with a small child leading us. Many years ago, I heard a heart-rending story. There was a fourth grader in a school in Southern Maryland who had not learned to read. I’ll call him Patrick. A proven reading program, our Success for All model, came to the school and replaced the school’s haphazard reading approach with a systematic, phonetic model. By the end of the school year, Patrick was reading near grade level. Here is the importance of this story. If you follow my blogs in the Huffington Post, or other writings on evidence-based practice, they often sound a little dry, full of effect sizes and wonkiness. Yet all of those effect sizes and policy proposals mean nothing unless they are changing the lives of children. Traditional educational practices are perhaps fine for most kids, but there are millions of kids like Patrick who are not succeeding in school but could be, if they experienced proven programs and practices. Patrick, at age 10, had the foresight to prepare to help his own child someday avoid the pain and humiliation he had experienced. Why is it so hard for caring grownups in positions of authority to come to the same understanding? There is no problem in education we know more about than early reading failure. There are proven one-to-one and small-group tutoring programs, classroom interventions, and whole-school approaches like Success for All. They differ in costs, impacts, and practicability in various settings, but it is clear that reading failure can be prevented or remediated before third grade for nearly all children. 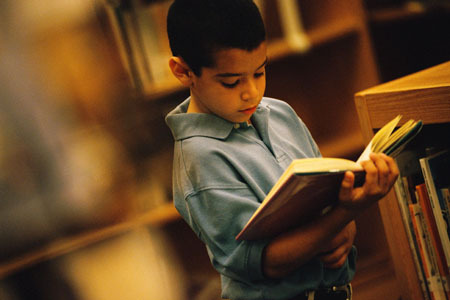 Yet most struggling young readers do not receive any of these programs. Patrick must be about 30 by now. Perhaps he has a child of his own. Wherever he is, I’m certain he remembers how close he came to a life of illiteracy and failure. I wonder if he still has his treasure box with the books inside it. Patrick probably does not know where those books came from, the research supporting their use, or the effect sizes from the many evaluations. He doesn’t need to be a researcher to understand what happened to him. What he does know is that somehow, someone cared enough to give him an opportunity to learn to read, using a program proven to be effective. Why does what happened to Patrick have to be such a rare occurrence? If you understand what the evidence means and you see educators and policy makers continuing to ignore it, shouldn’t you be furious?